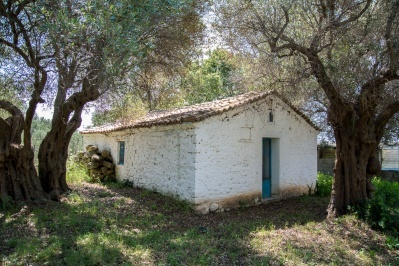 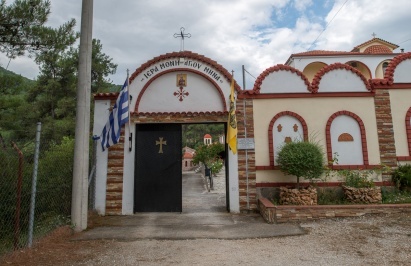 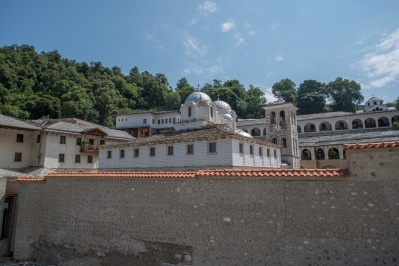 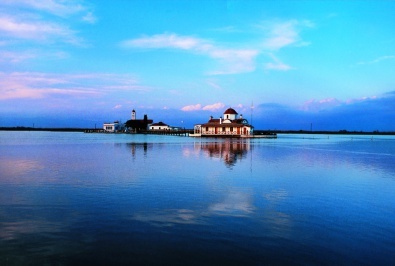 the Christian faith that a sacred monastery operated in the same area, where today lies the Temple, where even lived as a monk, near his mother, Hosios Philotheos Kavaliotis. 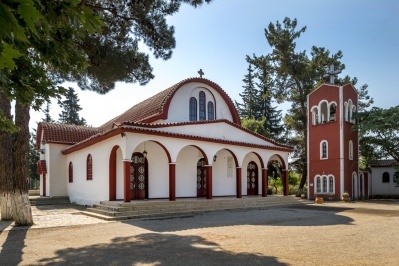 This church is new and was built in 1957 in the same location that the old one stood from the 15th century, which had become derelict and insecure. 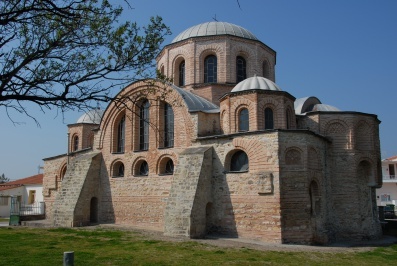 It is cruciform with a dome. 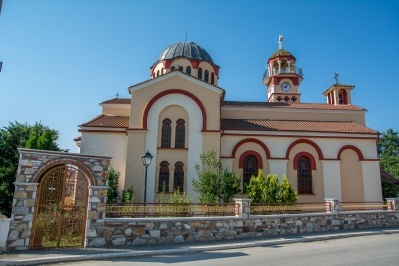 The spire belongs to the old building of the temple and was integrated over the narthex of the new church. 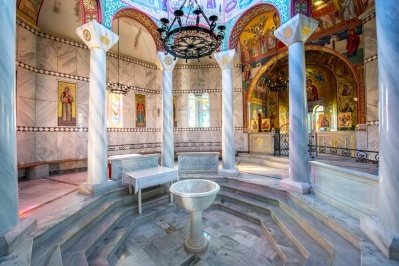 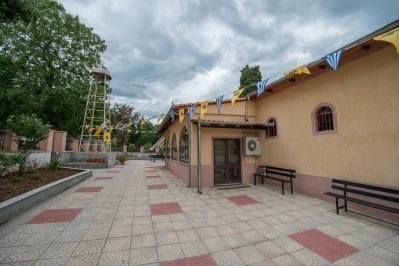 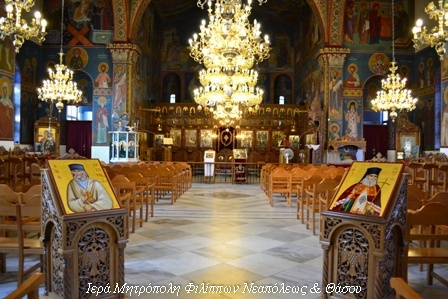 Inside the church, two chapels have been formed, of Agios Fanourios and Hosios Philotheos Kavaliotis. 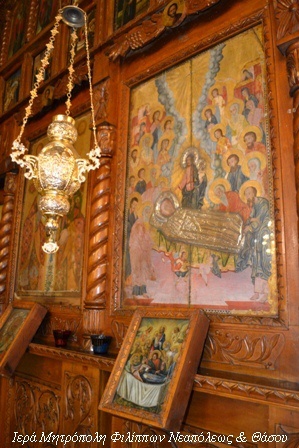 The hagiographer G. Karpotinis took care of the internal hagiography, cautiously following the Byzantine tradition both in Holy ranking and the technique of narrations issues. 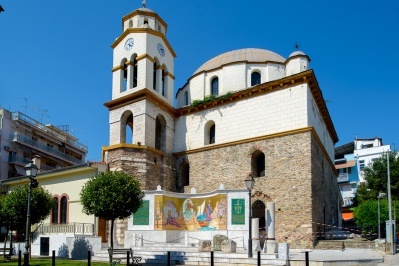 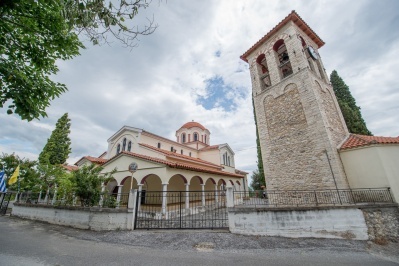 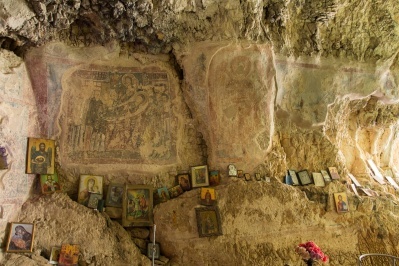 Three portable sacred Pictures of significant archaeological value were stolen years ago and after being found were given to the Bishopric of Kavala for safekeeping. 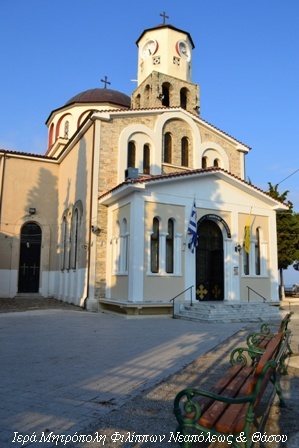 In the churchyard was erected, at the expense of a parishioner the Parish Hall. 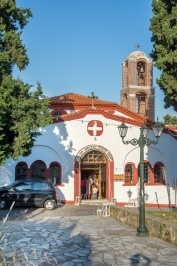 The Temple is built in a conspicuous position, in the southernmost end of the triangular peninsula of the old town, which is named “Panagia” of the homonymous church, near the lighthouse in the port, along with almost all the houses of the settlement, with the old on the Ottoman architecture and Egyptian vakifs exist, which attract the interest of the pilgrims of Panagia and foreign visitors to the old City within the walls.